Jack Leach bowled Dinesh Chandimal with a ripper as Sri Lanka slipped to 190-5 by tea on day four of the first Test in Galle as they pursue a notional 462 for victory. England spinner Leach made Chandimal (1) his third victim of the day after pitching the ball around leg stump and then spinning it back to hit off. 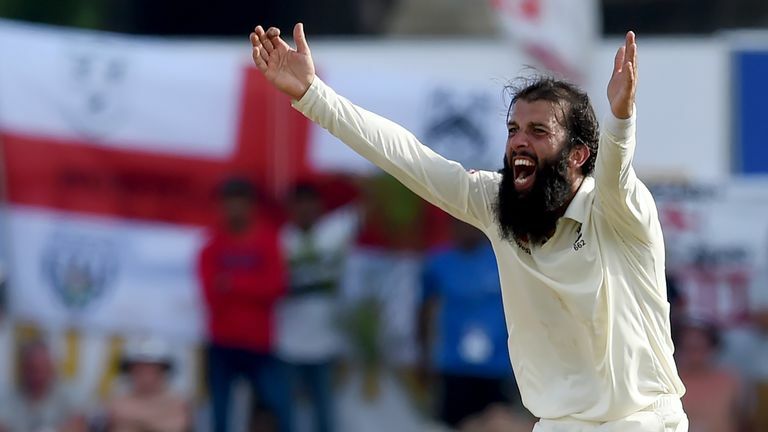 Leach earlier trapped Kaushal Silva (30) lbw on the sweep to force the first breakthrough of the morning, while Kusal Mendis (45) slashed him to Moeen Ali at mid-off four overs before he castled Chandimal. Ali moved on to to 150 Test wickets - the eighth England spinner to do so - after catching Dimuth Karunaratne (26) off his own bowling in the morning session, with Ben Stokes, who has bowled ferociously, having Dananjaya de Silva (21) pouched by Joe Root at slip on the stroke of lunch. England have not been faultless, with three catches going down - Stokes and James Anderson spilling routine chances and wicketkeeper Ben Foakes dropping a tough opportunity diving one-handed to his left after Chandimal inside-edged Anderson. Root's men are now five wickets away from their first Test win overseas in 14 matches, with their last success on the road coming when they beat Bangladesh by 22 runs in Chittagong in October 2016.